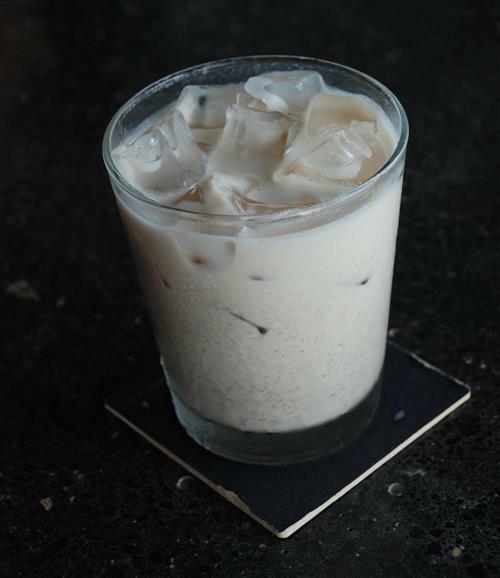 When Marvin Gaye sang "Lets get it on," we are sure he didn't hear about this drink. The non-existent Island Gods have deemed this drink to be good for gaining strength, libido and for stamina. Go ahead an try it. If what it is supposed to do fails, then at least you just had your self an amazing and quite tasty drink. 2 ounces Irish moss, washed well. Combine the coconut milk, moss and ice cubes in a blender and blend well. The coconut milk can be put in the refrigerator to stay cold before blending. Heat 2 cups water in a saucepan over medium heat with the milk, 1/3 cup of the Irish moss mixture, the linseed, isinglass and gum arabic. Bring to a boil and allow it to simmer until all of the ingredients have been dissolved and incorporated and the mixture thickens, about 30 minutes. On low heat and add the sugar, vanilla and nutmeg and continue cooking, stirring occasionally for another 10 minutes. Remove from the heat. You can cool in refrigerator for 3hrs if you want it served cold. It will usually thicken as it cools.